The SuperIoT platform is an industry-first IoT solution which offers management of devices, application, connectivity, service platform, support and security. Vodafone has launched its SuperIoT platform in India. It is an industry-first end-to-end IoT solution which offers Vehicle Tracking, Asset Tracking (Fixed and Mobile) and People Tracking (School Students and Employees). It offers management of device, application, connectivity, service platform, support and security. Enterprises using the SuperIoT platform can use rapid application development, device management and analytics with the Application Enablement platform. The internet has come a long way from connecting only mobile phones and laptops to include smart homes, wearable technology, and smart cities. With the growing recognition Internet of Things (IoT) being at the heart of digital transformation and a Digital India, the market for IoT in India is poised to reach USD 9 billion by 2020. 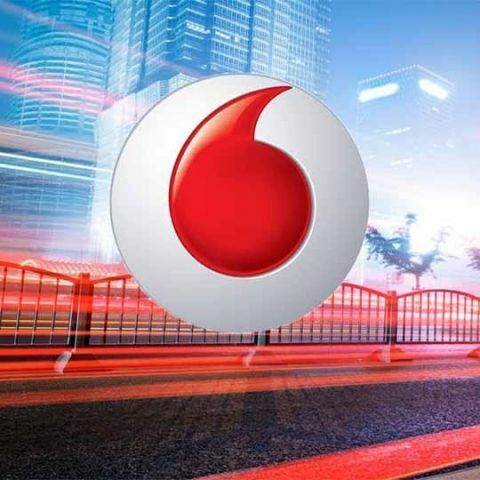 To enable enterprises’ IoT adoption, Vodafone launches SuperIoT –comprising IoT solutions like Vehicle Tracking, Asset Tracking (Fixed and Mobile) and People Tracking (School Students and Employees).It is an industry-first solution that enables end-to-end management of device, application, connectivity, service platform, support and security. With SuperIoT, enterprises do not have to face the challenges of managing multiple suppliers and service providers. They can benefit from rapid application development, device management and analytics with the Application Enablement platform. They can also have better manageability and control of their assets through Managed Connectivity. As per Vodafone’s 5th Annual IoT Barometer Report, 81% of Indian organizations feel IoT is key to digital transformation. While enterprises are becoming aware of the benefits that IoT can bring to their business, they face a host of problems when it comes to identifying and deploying the right IoT solution –the marketplace is complex and filled with multiple vendors and multiple platforms. Even if they are able to conduct a pilot, they face challenges with scaling for production. SuperIoT addresses these gaps by bringing together all aspects of IoT in one end-to-end solution, covering all the layers from device, application,and managed connectivityto in-life support. Having one integrated solution from a single provider delivers unprecedented value to enterprise customers. SuperIoT enables faster time-to-market, while generating timely business insights in a managed service model that lets enterprises focus on their core business areas. SuperIoT thus has the potential to bring about a digital transformation in enterprises, and the nation at large, enabled by IoT. Vehicle Tracking: A cost-effective, end-to-end solution that allows customers to have real-time visibility of their fleet, monitor vehicle condition, receive alerts about faulty vehicles, reduce unplanned vehicle downtime and help maintain asset value, thus reducing overall operational costs, ensuring safety and improving customer satisfaction. Diesel Generator (Energy monitoring) : A diesel generator monitoring solution that enables you to monitor the total diesel consumption, energy output, load and kWh/litre ratio and much more, to improve the performance of generator, while reducing cost. Machina Research named Vodafone ‘the consistent global leader’ in IoT services, in its 2016 IoT Communications Service Provider Benchmarking report for the 5th consecutive year.